Apache Indians were the earliest Native Americans to live in the High Plains of western Kansas. The Spanish of New Mexico referred to the natives who lived in Western Kansas in the 17th and early 18th century as the Cuartelejo Apache. The first Euro-American settlers in Scott County reportedly found irrigation ditches in Ladder Creek valley. The earlier Pueblo refugees or the Cuartelejo Apache may have built and used these to water their gardens. The El Cuartelejo pueblo was abandoned in 1706, or by other accounts around 1719. 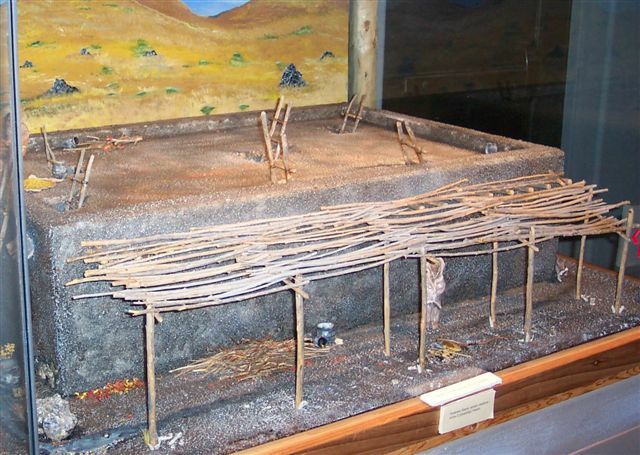 The Spanish, French, and Pueblo Indian each arrived in the Northern region, all having their unique connection with the El Cuartelejo pueblo. These ruins were discovered in 1898 by a pioneer, Herb Steele. El Cuartelejo was built by the Pueblo Indians and is the northernmost pueblo ruin found in the United States. El Cuartelejo means "barracks/encampment far away" in Spanish. The Pueblo Indians referred to it as their "home far away." The Cheyenne and Arapaho were attracted to the grasslands of western Kansas in the early 19th century. Reliable sources of water also made this area well suited to horse-mounted bison hunters. The increasing presence of Euroamericans and their non-native culture threatened Indian land and livelihood. Bison, vital to Plains Indian existence, were frightened away and killed. Pastures were created by the use of trails and grazed by immigrant livestock. These factors, along with misunderstandings and broken promises, led to conflicts between Indians and Euro-americans in the latter half of the 1800s. The last Indian battle in Kansas took place on September 27, 1878 in northern Scott County, Kansas. The history of this battle differs from earlier conflicts between the Indians and immigrant Euro-americans. The Battle of Punished Woman's Fork was one in a series of skirmishes involving the Northern Cheyenne, who had fled from a southern reservation to return to their northern homeland.